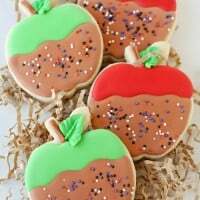 I know some of you are just getting warmed up to the idea of pumpkin and apple treats… and here I am with a Halloween recipe! I think you’ll discover that this recipe for Halloween Candy Bark is so easy, and so tasty, you’ll want to make it all year round! By simply swapping out the Halloween candy additions for your favorite treats, this recipe is perfect for any holiday or occasion! This would make a perfectly cute and simple birthday party snack! 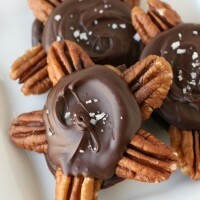 I created this recipe to share over on Better Homes and Gardens. 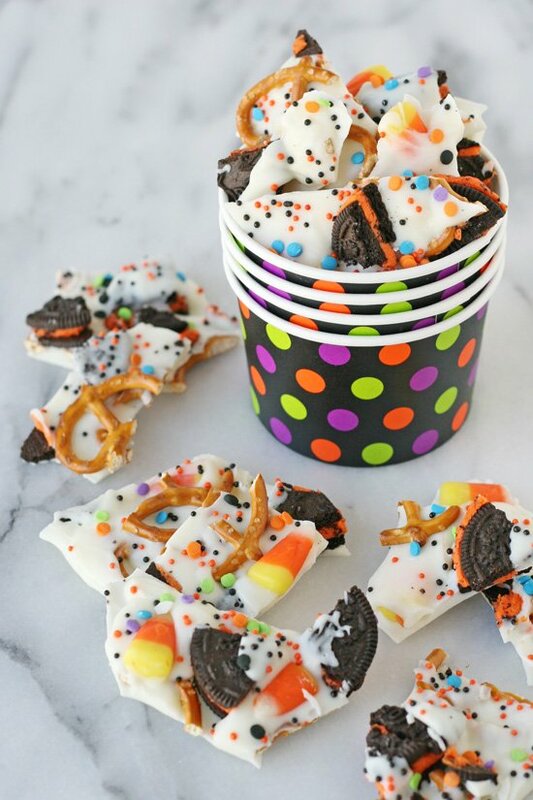 Hop on over and you’ll find all the details on this Halloween Candy Bark. 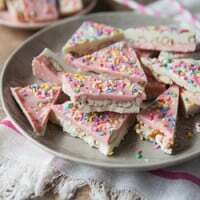 Oooh I love eating candy bark but I have never tried making it before! Love all the pretty colours for this fall treat! Hi Johnna, I bought the cups from Wal-Mart last year. I have seen similar (but not identical) ones at Wal-Mart and Target this year. I love that you share all these great ideas! ! ! This would be a perfect base for all kinds of holidays! ! ! Looks delicious! I love how colorful this is. Looks super yummy. This is so pretty Glory! 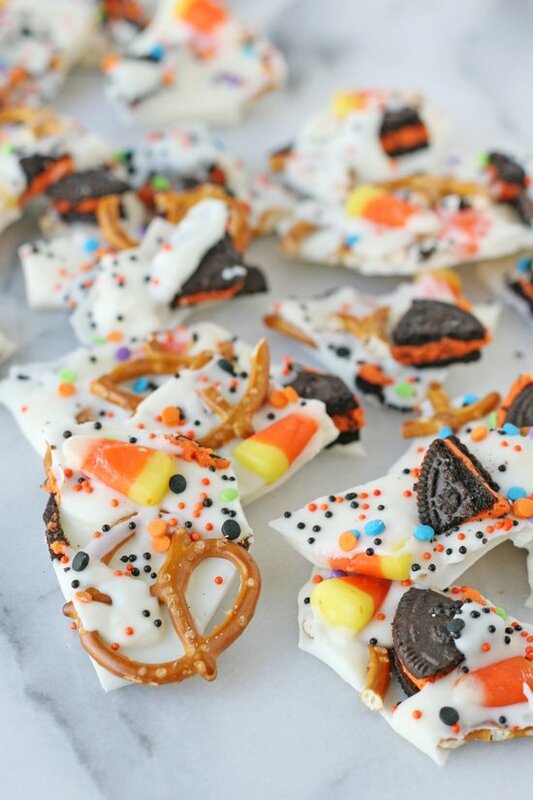 I just love Halloween bark! it’s never too early for Halloween candy! This is SO cute and festive Glory!! Those sprinkles are just killing me… And the Halloween Oreos? I’d pick off every single one! This bark is just so much fun Glory! Perfect for a party! Glory, so cute! Definitely making this for my daughter’s Halloween Party at school! Can you share where you got those cute cups? Hi Candice, I bought the cups from Wal-Mart last year. I have seen similar (but not identical) ones at Wal-Mart and Target this year. I second that, where are the cups!? I have looked everywhere for cute cups to go with this, as I am going to make it Saturday. These cups are the best! Hi Juliet, I bought the cups from Wal-Mart last year. I have seen similar (but not identical) ones at Wal-Mart and Target this year. Thank you so much!! You’re the best~! 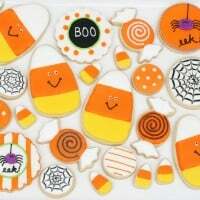 Pingback: Leftover Halloween candy recipes: Cookies, blondies, bars, bark and more | Everyfoodrecipes, cooking tips, and how-to food videos—all rated and reviewed by millions of home cooks,make the perfect birthday cake, or plan your next holiday dinner.